Q. Where are the sofas? Please return! 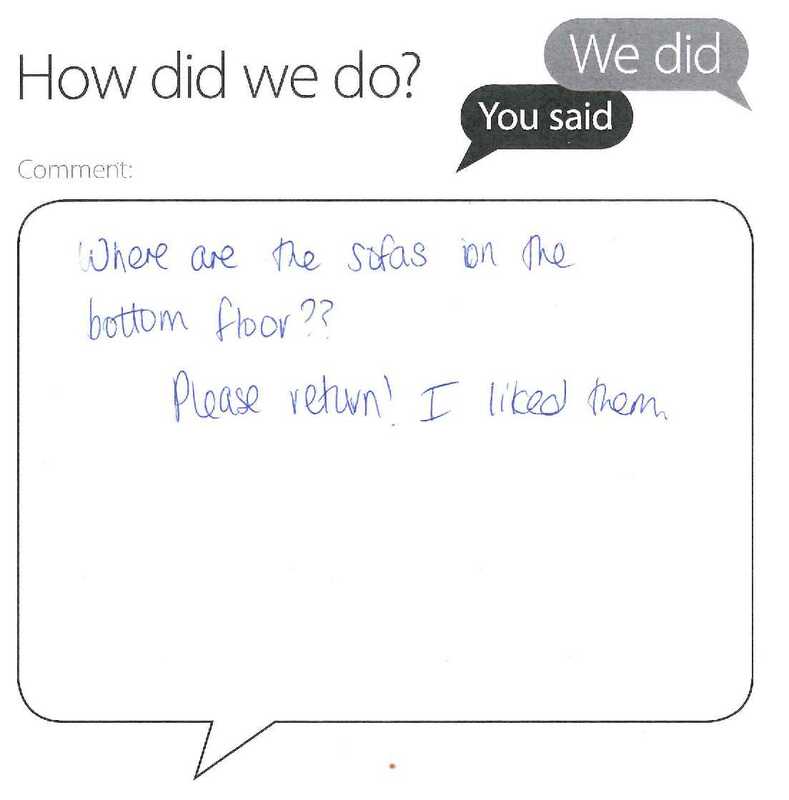 Thanks for taking the time to fill in one of our comments cards earlier this week. For the last few years during Orientation Week, we've moved these sofas out of the way to create sufficient space for new student tours. However this year we've decided to keep them away from the main concourse even though tours are finished. Most of the sofas are actually still on Level 2 (on the other side of where the blue soft seating is) but some had to be removed because they were damaged. Whilst we deliberately designed the layout on level 2 to create a more informal environment, noise levels coming from this area have started to cause problems. It has become difficult for our service desk staff to even have a conversation with students (either face to face or on the phone) because they can’t hear them properly. We plan to keep the arrangement as it is for the time being but will of course take into account any further feedback that we receive from students and other users. If we ultimately find that this recent change makes no positive difference to noise levels, we will consider putting the sofas back.